WANT TO STOP PAYING CHECK CASHING FEES and save roughly $300 a year? You can with the AccountNow prepaid card! Get FREE direct deposit and best of all, it's accepted anywhere Visa is. We live in a credit world. We are judged by a 3-digit number, your credit score, that reflects how worthy we are financially when it comes to buying a car, renting an apartment, getting a credit card, and buying a house. These days a credit score is even used to determine an applicant's qualifications for a job! It's no wonder so much emphasis is put on maintaining and improving your credit score. If you answered no, you need to get a copy of your report ASAP and review it for innaccuracies and negative items that are bringing down your score. Low credit scores will directly affect your ability to qualify for a loan. Or worse, it may double or triple your loan rate. 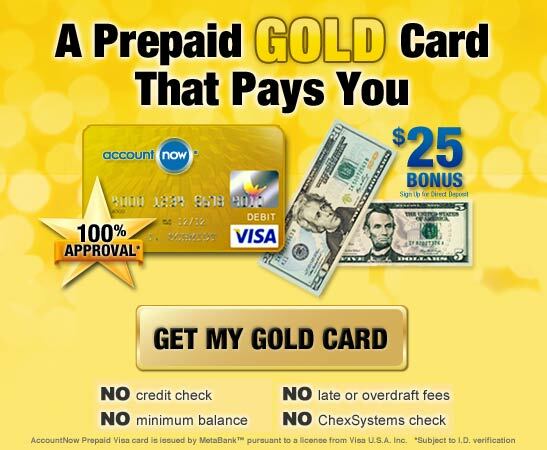 Call 1-800-292-0204 for your free credit consultation or sign up for one here. Do something about it. Sign up for a FREE Credit Consultation to improve your credit situation. By clicking submit I request and grant my consent to be contacted by a live phone agent or pre-recorded phone message, by email, or SMS text regarding credit repair. Submitting my personal information above constitutes my electronic signature.